This page will hopefully contain photos from over the years, to include prominent people from the North Devon Football scene. That includes players and league officers. If you have any photos of teams, officers, players etc please use the contact button on the results/fixtures/tables part of the site and we will let you know how you can get them to us. If you can write a short piece about the photo as well it would be appreciated. HUNDREDS of people from the North Devon football community turned out for the funeral service of Michael Stevens. Michael, known as 'Mickey' or 'Mike', of Devonshire Park, Bideford, passed away at North Devon District Hospital on February 15, aged 65. Respected for years of service as a player, referee and administrator, North Devon has lost one of its most committed football men. At St Mary's Church in Bideford, Mike's coffin was carried by his refereeing colleagues, Andy Walter, Fred Saunders, Ian Hart, Colin Ritchie, Peter Sercombe and Colin Wallis, all wearing their referee kit. The Rev Alan Glover, who grew up with Mike in Bideford, recalled their days playing football in the park and later travelling away together with Devon under-18s. Mike was a devoted family man, who always loved playing and watching sport. A goalkeeper who was surprisingly agile for a big man, he played for Appledore, Northam Lions and Dolton. One of the highlights was a man-of-the-match performance as Northam caused a shock by beating Bideford AAC to win the Torridge Cup. Injury ended his days as a goalkeeper and cricketer and Mike took up football refereeing where his understanding of the game saw him rapidly progress to Class 1. In 1984, he had the honour of refereeing the Devon Premier Cup final as Appledore beat Clyst Rovers 2-1 at Elmore. Although he offered to stand down because his younger brothers Malcolm and Mark were part of the Appledore team, the Devon FA insisted Mike was the man for the job and he was praised for his handling of the game. Mike served for 26 years as the referee appointments officer for North Devon, only giving up the role last year due to ill health. During that time he ensured thousands of players in the North Devon League, Kingsley League and North Devon Youth League were able to enjoy a game of football. Andy Walter, of the North Devon Referees' Association, said: "I don't think we are ever likely to see such dedicated service as this again by anyone. He was a man not over keen on regulations and rules, he just got the job done. "He was not a great man for refereeing, he was a great man for referees." Mike also served on the North Devon League management committee and was proud to have been made a life member of the Devon Football Association. In 1987, he was elected onto the Devon FA as area representative and in 2009 they presented him with a rose bowl in recognition of his service to football in Devon. 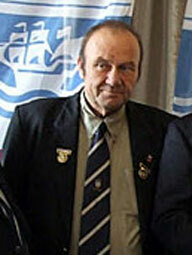 He was made a life member of the Referees' Association North Devon branch in 1998. Born on September 9, 1947, Mike was the eldest of four sons to Fred and Joan and was brought up with brothers Norman, Mark and Malcolm at Pynes Lane. On leaving school, he worked at RGB. Later he moved to Peter Horns and Bayley Bartlett's which became Jewsons, where he remained until retirement in June last year. Michael met Joyce, the love of his life, in 1966. They married in 1970 and had two children Tracey and Peter. He leaves behind Joyce, Tracey and son-in-law Mark, Peter and daughter-in-law Sarah and young grandson Alex. Mike enjoyed playing euchre and snooker at the Bideford Reds Rowing Club and was a keen Manchester United supporter. He loved dogs and a collection was made for Border Terrier Welfare and the North Devon Referees' Association benevolent fund. 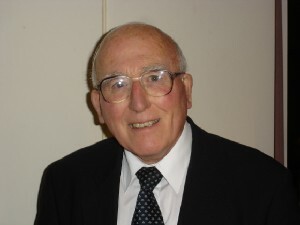 THE DEVON football community has paid tribute to Albert Beer who died last week (16th January 2010). 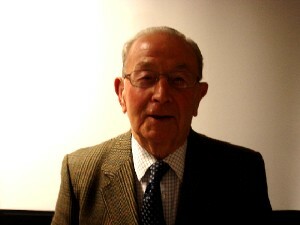 Mr Beer, 91, was president of the Devon County Football Association and the North Devon Journal League. After playing for his local team Appledore prior to the Second World War, he went on to enjoy a long connection with the sport. Mr Beer joined the North Devon League as an independent member in 1955. He was voted on to the Devon FA in 1962 and served for 11 years before returning in 1987, becoming county president in 2005. Bill Smale, his friend and long-time colleague at the North Devon League, has fond memories of a "little man with a heart of gold". In recent years, Mr Smale drove Mr Beer to watch numerous local league and county youth games. "We travelled miles and he always loved talking about football — it was a great passion with Albert," he said. "He had a marvellous memory, going back to his playing days for Appledore. "And of course Albert was like all of us, we loved playing football and we always wish we could play forever." Born in Appledore in 1918, Mr Beer spent more than six years in the army before setting up a painting and decorating business in 1949. Becoming Devon FA president was special for Mr Beer and Mr Smale recalls his reaction at seeing his name written on the wall at the Devon FA headquarters in Newton Abbot. Listed alongside previous presidents, many with letters after their name, Mr Beer showed his down-to-earth sense of humour. "He looked at me and he said Albert Beer PD — painter and decorator," said Bill. "That was Albert" Living for many years in Northam with his wife Florie, the couple had one daughter, Kathryn. In recent years, after Florie died, Mr Beer lived at Kathryn's home just a short walk from Bideford Football Club. But it was trips up the road to Marshford or visits to the smaller North Devon League clubs he enjoyed most. Last April came one of the proudest moments of his presidency when a team from North Devon won the Devon Premier Cup. In one of his last public engagements for the Devon FA, Mr Beer presented the trophy to Boca Seniors after their win against Bovey Tracey at Ladysmead in Tiverton. "He was absolutely delighted because Boca Seniors became the first team from the North Devon League to win it," said Mr Smale. "Although he would be quick to tell you Appledore won the competition several years ago when they were a South Western League side." Former secretary of the North Devon League Philip Shelton paid tribute to an "admirable figure for the League and the FA", describing him as "someone to whom you always turned when you wanted to make sure you were doing things correctly". "The source of knowledge he had is probably still there, but in the heads of three or four other people rather than one," he said. The Devon FA's north area coordinator, Rob Bates, said Mr Beer had always encouraged and advised him when he started out in football administration. "His knowledge and authority on the game in Devon was unrivalled," he said. "It is testament to Albert's involvement over the years how good a position North Devon football is in today." Paul Morrison, chief executive at the Devon FA, said Mr Beer's wealth of knowledge could often settle a dispute. "He spoke very quietly but always attracted people's attention with each word he said," he said. "He reminded me of the old wise owl sitting in the tree observing all that is happening around him. "What was so wonderful about Albert was that he always loved talking to people about football — ranging from the old boys who put up the nets to those who were the big chiefs of professional clubs — and always treated them all with the same enthusiasm." When he closed annual meetings at Newton Abbot, Mr Beer would talk of his pride at being president. Morrison added: "It always brought a tear to his eye as he rejoiced in telling all he had come from being a humble painter and decorator who loved football, to being the president of one of the biggest county Football Associations in the country. "The Devon FA is hurting as we have lost one of our most well-loved men. But we can ease that pain with the lovely memories Albert gave us all." Mr Maurice Ffoulkes, JP, for many years a familiar figure in North Devon Soccer circles, has had a long connection with the game, extending from 1881 to 1925. In 1882 he figured in the Oswestry Wanderers’ team, and in the following year he became connected with Southport, a club which has now turned to the professional game. In 1884 he moved to Waterloo, near Liverpool, and became secretary and treasurer of that club, and on retiring from active participation in soccer he turned to refereeing for the Liverpool League. When Mr Ffoulkes came to North Devon , association football had no firm grasp on the patronage of the public, but with certain other gentlemen, Mr Ffoulkes founded the North Devon League and was appoint its first Chairman. Though many years have passed since the League’s founding, Mr Ffoulkes has always taken a keen and active interest in its working, and there is no doubt that while he is able he will always endeavour to help it. 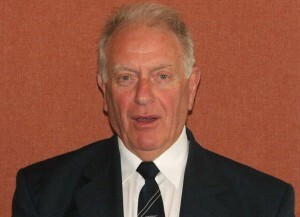 Upon the formation of the present Devon County Football Association, Mr Ffoulkes was elected by the North Devon clubs to act as their representative on that body, and he has been re-elected ever since. This year he is Chairman of the North Devon Area Committee, and has had a very busy term of office, for his committee had the rather difficult and delicate Bideford - Ilfracombe dispute to deal with. Mr Ffoulkes has resigned all connection with most of the competitions in the district on the grounds of business, but he still retains interest in the Devon Senior Cup. Forty- four years of activity in football surely entitles Mr Ffoulkes to be called a super-enthusiast. He was a member of the committee of the Barnstaple Rugby Club for some time.